Hey guys it's been a while since I posted anything on here life seems to get in the way. Its a bit short notice but I thinking of doing a run through the dales next weekend as sadly my MK1 has to come off the road now for several reasons and I want one last blast before the tax runs out. Not sorted out any details yet but thought I would see if anyone is available to join me. I may do the route that the Yorkshire run would normally take. Or the one that it used to take up to Whitby. My MK1 will not be dead forever as I plan on extensive surgery to bring her back but it's still going to be a bittersweet day for me. Last edited by Martin42006; 20th August 2018 at 08:01 AM. Depending on date and location I could be involved. 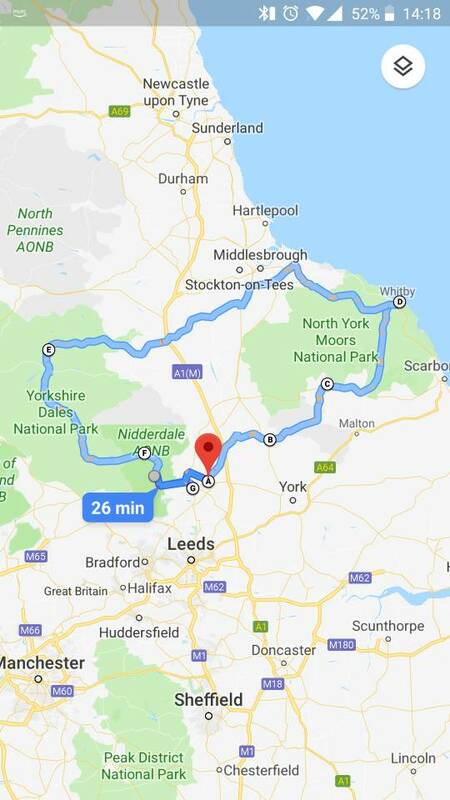 It will be on Sunday 26th and I'm thinking of starting around Harrogate or Wetherby and heading over to Whitby for fish and chips. Will try find the old route that the Yorkshire run used to take. I did mention fish and chips right? Sounds like a good route and fish and chips would be ace. But that weekend is not so good for me.